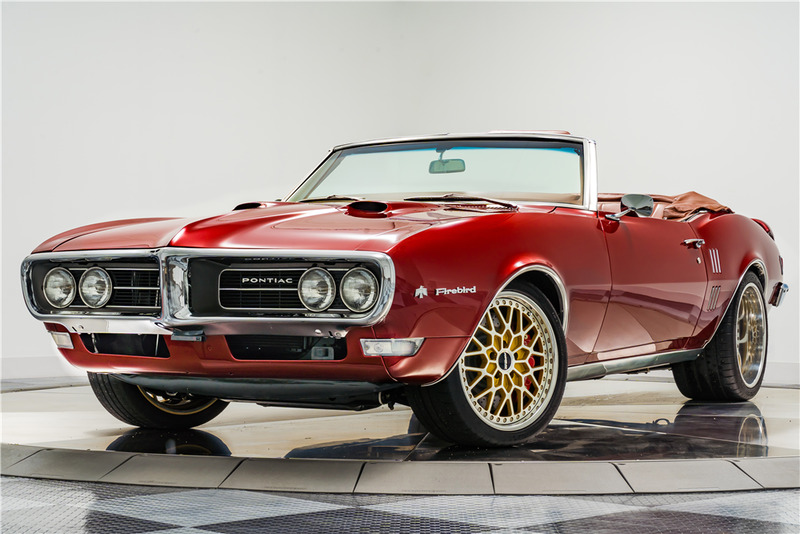 This Firebird is powered by an LS3 Hot Cam 480hp engine and a 4L70E automatic transmission. It features a full Detroit Speed Hydroformed suspension up front and quadralink setup in the rear, complete with Detroit Speed mini-tubs and a Fab9 rear axle. It’s riding on custom-built Forgeline three-piece wheels wrapped in Michelin Pilot Super Sport tires with C6 Z06 brakes at all four corners. It has full Stainless Works exhaust from the headers back. The body received a bare metal respray with all-new emblems and chrome trim, a Ram Air hood and T/A-style rear spoiler. 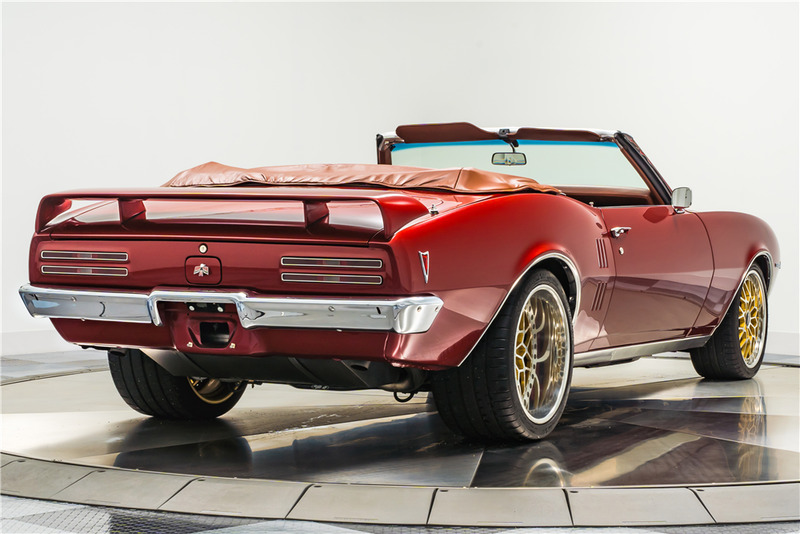 Under the hood is a Holley accessory drive that runs a Vintage Air system, a Griffin radiator, and a Detroit Speed power brake booster and master setup. Dropping the new black Haartz cloth top reveals the Bentley-inspired leather interior in Saddle and black with handmade door cards, center dash and a modified center console, bolstered diamond-stitched and perforated front and rear seats, a leather dash pad, leather sun visors, leather kick panels, a leather top boot and a fully matching trunk. The interior also features a tilt column, a Billet Specialties steering wheel, an integrated radar and laser detector, and full clear protective film.